This article was published in the August issue of Construction Specifier. A barricade device that is attached to the door closer may be difficult to install and remove depending on the door height. Because many classroom doors do not have door closers, this product can not be used on all classroom door configurations. To date, no known classroom barricade devices have been listed for use on a fire door assembly. In the wake of any tragedy, society struggles collectively to process the loss. For some it is the loss of friends and loved ones, but for most it is our feelings of safety and trust in the overall goodness of our fellow man that are diminished or seemingly lost entirely. In their place, we are filled with an overwhelming desire to do something – anything – to prevent it ever happening again. The reaction to some tragedies such as the Triangle Shirtwaist Factory fire or Cocoanut Grove nightclub fire resulted in sweeping changes to fire and life safety codes that have unquestionably saved lives and prevented an incalculable number of similar events. But in response to the horror of Sandy Hook and subsequent school shootings, the urge to take action motivated some school districts to enhance the security of classroom doors with barricade devices, many of which not only violate current code requirements but could also result in increased risk and liability. By definition, “barricade” means “to block (something) so people or things cannot enter or leave.” Most codes require doors in a means of egress to provide free egress at all times, which allows building occupants to evacuate quickly if necessary. Some proponents of barricade devices suggest that, because the device is intended for use only when an active shooter is in the building, securing the door takes priority over allowing safe evacuation. Those on the other side of the debate believe that, because there is no guarantee the device will only be installed under these limited circumstances, the devices could be misused, preventing authorized access by staff and emergency responders, as well as delaying or preventing egress. Over the past few years, this argument has raged across the nation, with code officials caught in the middle, struggling to ensure that life safety is not compromised in the rush to enhance classroom security. As a result, there are several model code changes in progress that will affect product selection and specification for doors in K-12 schools as well as colleges and universities. ;However, many state and local jurisdictions are already implementing their own policies and some of the security devices currently being installed or requested by educational facilities for new and existing projects may not be compliant with the new model code requirements. This article will outline those upcoming code changes as well as the code-compliant security methods that should be specified in order to enhance both the safety and security of students and teachers. Many barricade devices that are installed across the door require several operations to install and remove, and may require special knowledge or effort. Typically, these devices can not be removed or unlocked from the outside of the door by school staff or emergency responders. This language will apply to K-12, college and university classrooms, but also to offices and other occupied rooms. If the rooms are lockable, they must be able to be unlocked from the outside and they must meet the requirements for egress – one operation to unlatch, no keys, tools, special knowledge or effort, and no tight grasping, pinching, or twisting of the wrist. Similar language is under consideration for other model codes. The NASFM guidelines also note that, although the word “should” is used in the checklist, these requirements may be mandatory depending on applicable codes, laws, and regulations. The International Building Code, International Fire Code (IFC), and/or NFPA 101 – Life Safety Code have been adopted in most states, and these three publications include the egress, fire, and accessibility requirements in NASFM’s checklist (NASFM, 2015). WHEREAS, when selecting hardware that allows classroom doors to be lockable from inside the classroom, consideration should be given to the risks and potential consequences of utilizing a device that blocks the classroom door from the inside. For example, devices that prevent classroom doors from being unlocked and openable from outside the classroom may place the inhabitants of the room in peril. In addition to the requirement that classroom doors must be unlatchable in a single motion from inside the classroom, these doors should always be unlockable and openable from outside the classroom by authorized persons. Many code officials have responded to questions about school security by reiterating that egress doors (including classroom doors) must meet the requirements of the adopted codes. Although efforts are underway to incorporate school security requirements into the model codes, states and local jurisdictions have been busy issuing their own directives on this issue, with mixed results. Florida and California have already adopted requirements or guidelines that are more stringent than the current model codes. They require classroom doors to be lockable from the inside, with classroom security locks being the preferred lock function. However, in Arkansas, the State Senate voted unanimously to amend the fire code requirements and allow the use of barricade devices despite the strong objections of the state fire marshal who noted potential issues with emergency egress and removal of the device, as well as the financial interest of an Arkansas state legislator in a company that manufactures barricade devices. In Ohio, a law was passed which forced the Ohio Board of Building Standards to modify the state codes in order to allow classroom barricade devices to be used. The Board had previously held hearings to gather testimony and then created a report to support their conclusion that no changes should be made to the current Ohio building and fire codes. Because of the new law, the state code had to be changed regardless of the Board’s position, and certain types of classroom barricade devices are now allowed in Ohio schools. Other states have independently issued directives or adopted various code changes. For example, Colorado has adopted a code change that allows temporary security measures only until Jan. 1, 2018 (Colorado Department of Public Safety Division of Fire Prevention and Control). The state fire marshal in Kansas issued a memo allowing temporary security devices to be used (Jorgenson, 2014), while Louisiana allows a deadbolt that requires one additional operation to unlatch the door (Browning, 2013), and New Jersey permits some types of devices but not others (New Jersey Department of Community Affairs, 2013). The only thing these policies have in common is a startling lack of consistency from one state to the next, so it’s more important than ever to be aware of local code requirements, including the jurisdiction’s position on barricade devices. The reasoning behind these proposed changes is often based on the misconception that barricading the door is the only way to protect students and teachers in the classroom. There are code-compliant locks readily available from many lock manufacturers that provide the needed security without compromising safety in favor of lower cost. While locks address one aspect of classroom security requirements, there are other factors to consider, such as the door, frame, glass, key distribution, communication, and lockdown procedures. Many school security experts recommend classroom security locks, which can be locked from within the classroom using a key (mechanical locks) or electronic fob (electrified locks) (Timm, 2014). The final report of the Sandy Hook Advisory Commission included many recommendations for school safety, including Recommendation No. 1: Classroom doors should be lockable from inside the classroom. This is because, as the report notes: “The testimony and other evidence presented to the commission reveals that there has never been an event in which an active shooter breached a locked classroom door.” It’s also important to note that a 2007 study called Barricaded Hostage and Crisis Situations in Schools: A Review of Recent Incidents, examined 19 such hostage situations that occurred between 1998 and 2007. In 16 of the 19 cases, the perpetrator was a student at the school, meaning the threat was already in the room. Most devices installed at the bottom of the door create a conflict with the accessibility requirement for a flush, smooth area 10 inches high at the bottom of manual doors (on the push side). All of these devices may be installed by an unauthorized person to secure the classroom and commit a crime. There are a number of lock functions that can be used in schools, depending on existing conditions, the needs of the facility, and the budget. But all lock functions that would typically be installed on a classroom door allow free egress as well as authorized access by staff and emergency responders, and will provide the necessary balance of life safety and security for teachers and students. The instinctive reaction to the fear surrounding school shootings is to do everything possible to protect students and teachers from being in the line of fire. But the desire to react quickly and within budgetary restrictions sometimes leads to choices that may solve one problem but inadvertently create others. The requirements for free egress, fire protection, and accessibility must be considered in conjunction with the need for security. Unauthorized lockdown and emergency responder access are important considerations, although they are not currently addressed by the model codes. Upcoming changes made to codes or laws at a national level will establish more consistent requirements than addressing this issue individually. However, when working to increase the security of an educational facility – or any type of building, an all-hazards approach should be taken, considering not just active shooters and terrorism, but also fire, severe weather, natural disasters, and other types of emergencies. There is never a sound reason to sacrifice life safety in favor of security. 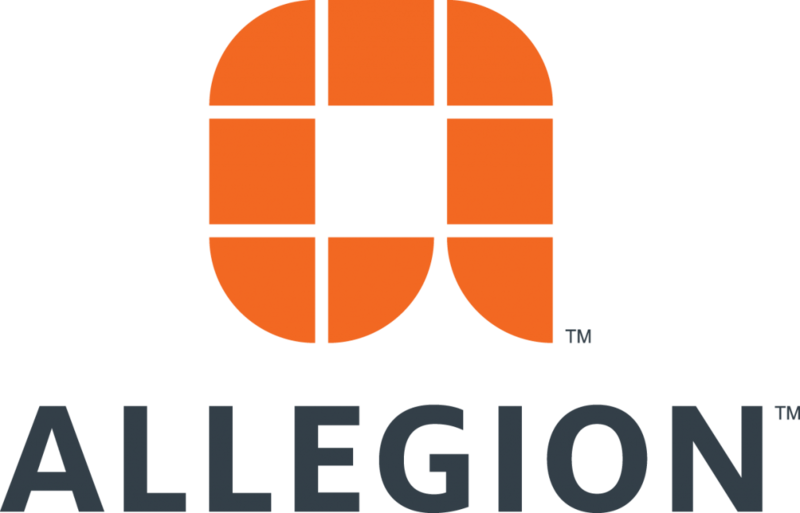 Lori Greene, DAHC/CDC, CCPR, FDAI, FDHI is the Manager, Codes & Resources for Allegion. For more information about this topic and to download a free reference guide on codes, visit iDigHardware.com/guide. 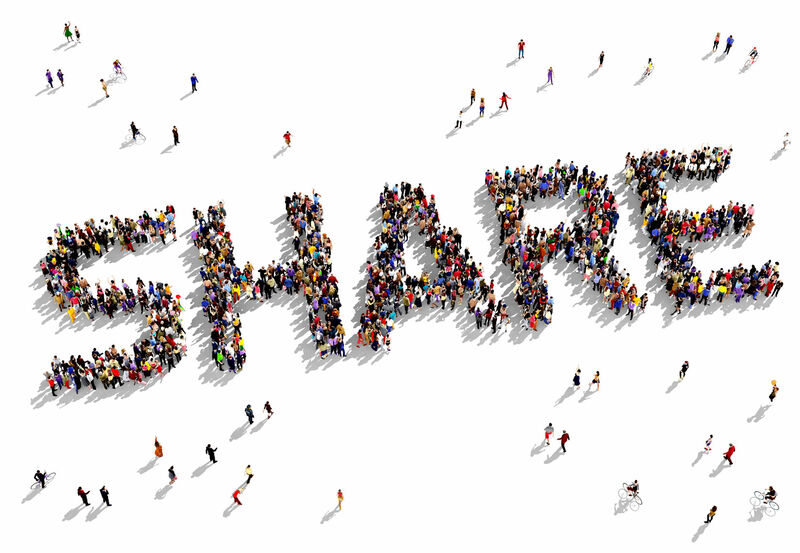 To subscribe to daily or weekly notifications of new posts on this website, visit iDigHardware.com/subscribe. Merriam-Webster. Barricade. Merriam-Webster, n.d. Web. 8 May 2016. National Association of State Fire Marshals (NASFM). “Classroom Door Security & Locking Hardware.” (2015): 1. May 2016. Web. National Association of State Fire Marshals (NASFM). “Resolution on Classroom Door Security & Locking Hardware.” (n.d.): n. pag. 27 May 2016. Web. I’m a door hardware specifier and consultant, and I approve this message. The issue of barricade devices has moved beyond the classroom. I am struggling with municipal employees who wish to install such devices on office doors. While the number of person behind the barricade door is less than that of a classroom, and all the people are adults, I have the same code issue that the door be operable with a single motion. Fantastic article… I have always made it a rule in my business and consulting.. when in doubt always err on the side of life safety. I was involved with the Jefferson County Schools when the Columbine Shooting happened over 16 years ago. People DIED because first responders could not get into their areas fast enough. The tragic event is over fairly quickly, then the recovery has to start. Anything that slows the rescue is just a bad idea. I understand the desire to do something, but doing the wrong thing just makes it worse. Thanks again for the article. The first device pictured is an excellent example of why barricade devices are a really bad idea. It can be used by the bad guys to barricade people inside rooms whose egress doors swing inward.